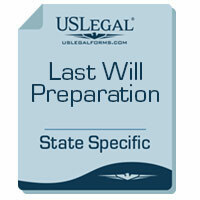 Get your Will prepared for you by the legal form professionals. Rest assured your Will is completed properly. Wills available for all persons. Have your Will prepared for you based on what you desire. Rest assured it will be completed properly. Generally, any person 18 years or older of sound mind may make a Will. Some states allow persons under 18 to make a Will. If you die without a Will you are designated “intestate,” meaning, “without a Testament – without a Will.” In such a case, state laws called “intestate succession laws” govern who receives your property, regardless of what your wishes might have been. A Court, not you, will decide who is to administer your estate. Generally, it is more expensive to administer the estate of a person who dies without a Will. A validly prepared and properly executed Will is valid until you intentionally revoke it or prepare and execute a new Will that revokes the previous Will. In addition, a change in marital status, such as a divorce, may impact provisions in a Will and/or beneficiary designations. A so-called “Self-Proving Will” typically has affidavits of the witnesses who saw the decedent sign the Will. The affidavits are attached to the Will. In those affidavits, the witnesses state: that they saw the deceased execute or sign the Will, the deceased asked them to be witnesses to the Will, he or she appeared mentally competent at the time, and acted voluntarily (not out of fear, intimidation, or coercion). Without such affidavits, it would typically have been necessary for the Executor (or a lawyer for the Executor) to locate the original witnesses and have them come into court (if possible) to state the circumstances surrounding the execution of the Will, or at least give an affidavit. No. For example, if you own pension plan assets, or 401(k) plan assets, or life insurance, or annuities, or property held through a “Trust”, such property and benefits would typically pass to the specific beneficiaries you have named with the manager of the pension plan, the company sponsoring the 401(k), each life insurance company, each annuity company, and in the Trust. Of course if the beneficiary of such assets is simply named as “my estate” then the Will would control who gets the property and benefits. Property held in joint tenants with right of survivorship also passes outside of the will. What effect does moving to a different state have on a will? A Will that is properly made and properly executed in your former state of residence, that would be valid under the laws of your former state, will almost invariably be regarded as valid by the laws of your new state. However, as the laws of all states differ, if you move it makes sense to have your Will reviewed by a lawyer in your new state. For example, sometimes the new state has different processes to “prove” the Will. The new state may permit probate matters to be handled on a less formal and less expensive basis, simply by adding to the Will reference to certain specific statutory provisions in the new state’s laws. Occasionally complications arise because different states have different classifications of property. For example, if your Will was executed in a state that does not have a community property system and you move to one of the 9 community property states, you may wish to get in touch with an attorney to determine whether your Will should be redrafted to achieve your intended result. If I have a living will, would I also need a real “will”? Yes. A “Living Will” has absolutely nothing to do with managing or controlling your property either during your lifetime or at your death. It deals only with health care options. Generally no, unless you and your spouse have waived the right to be included in the other’s estate in a prenuptial or postnuptial agreement. 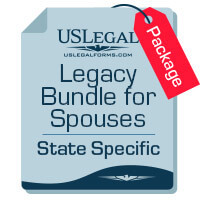 Each state has laws that shield a surviving spouse from being completely cut off. In most states, the surviving spouse can choose between the property left in the deceased spouse’s Will or a statutory share set by state law (usually one-third or one-half of the estate). Whether it is advantageous to elect the state’s share – generous in some states, minor in others – depends on the rules for calculating the elective share, which rules and exceptions have a remarkable number of variations between the states. In a community property state, the surviving spouse already owns half of the community property at the death of the other spouse. Can a parent disinherit a child? If you are mentally competent, you can revoke a prior Will by destroying it, obliterating it, burning it, or tearing it up. Of course, unless the act of revocation is properly witnessed and recorded, someone may later contend the Will was simply “lost” and not revoked, or that you lacked mental competence at the time you “attempted” to revoke your Will. This could give rise to a “Will Contest”. 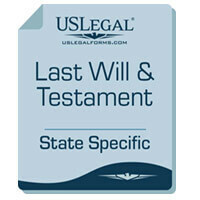 It is preferable to execute a new will specifically revoking all previous wills. When making your Will, consider and designate your Personal Representative (Often called an Executor or Executrix) to supervise the transfer of your property to those designated in the Will (the person you appoint can be a person receiving property from you). The person appointed is often your spouse, but you should designate an alternate in case your spouse dies before you do. The alternate should be someone you trust who will get along with the beneficiaries named in the Will – the alternate may be one of these beneficiaries. Also consider and designate guardians and trustees for minor children if necessary. What should I keep in mind when I select the executor of my will? Choosing as an executor is a crucial decision since his or her job can be a thankless one. The executor usually gets the blame if things do not go the way family members expect. Since the executor is bound to carry out the terms of your will and obey the laws of the state, pick someone who is organized and trustworthy. If your bank has a trust department, you might discuss this with a trust officer. Many banks serve as executors and trustees and their fees are generally reasonable. If you decide to name a person, consider an executor that has a personal interest in your family, is familiar with your affairs (but does not have a conflict of interest), has people skills, and the competence and maturity to do the job well. An individual, institution, trustee, or estate receiving or becoming eligible to receive benefits under a will, an insurance policy, a retirement plan, annuity, trust, or other contract is known as a beneficiary. Usually a person who inherits under a will is a beneficiary. Once your will is written, store it in a safe place that is accessible to others after your death. Consider keeping it in a fire proof box that you can purchase at any office supply store. You might not want to keep it in a safe deposit box because many states require that your safe deposit box be sealed upon your death. Make sure a close friend or relative knows where to find your will. 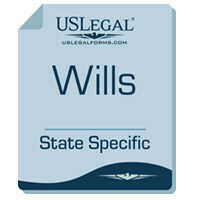 Some States allow you to file your Will with the Court before your death. Administrator, administratrix — this is a person who administers an estate of a person who died without a Will. Assets — all types of property that you own, including but limited to real estate, personal property, intangible property, causes in action, etc.. Beneficiary — a person named in your Will to receive some portion of your estate. Bequest, bequeath — this a where you leave personal property by a will. Example: “I bequeath my diamond ring to ___”. Codicil — a supplement, amendment, or addition to a will. A codicil may explain, modify, add to, subtract from, qualify, alter, or revoke provisions in a will. Common disaster provision — a statement in a will which provides how property is to be disbursed if the person writing the Will and a beneficiary die in a common disaster. Decedent — a person who has died. Devise — to transfer real property by Will. Example: “I devise my home to _____”. Devisee — person who received real property by a Will. Estate — the assets a person owns. Executor, executrix, personal representative — the person named in a will to probate the Will and administer your estate according to your wishes. Fiduciary — an executor, guardian, administrator, personal representative or trustee. Guardian — a person legally appointed to care for another, such as a minor child. Heir — a person entitled under the law of intestate succession to the property of a decedent. Sometimes beneficiaries named in a will are called heirs, but technically this is not correct. Intestate — a person who dies without a valid will. Lapse — the failure of a bequest (as because the intended recipient dies before the testator). Legatee — recipient of personal property by a will. Per Stirpes — by right of representation. Rights given to Children of a deceased child of yours. Example: if a decedent had three children, one of whom had already died leaving issue(children), the estate would be divided into thirds, with each living child receiving a one-third share, and the issue of the deceased child dividing a one-third share equally among themselves. Probate — process of validating the Will of a deceased person in Court. Revoke — process of destroying the effectiveness of (a will) by executing another or by an act of destruction. Succession law — governing law if there is no will which controls who will receive your property. Testator, testatrix — person who makes a will. Witness — one who sees the testator sign his name on his will or hears him declare it to be his will and, at the request of the testator, signs his name and address at the end of the will.